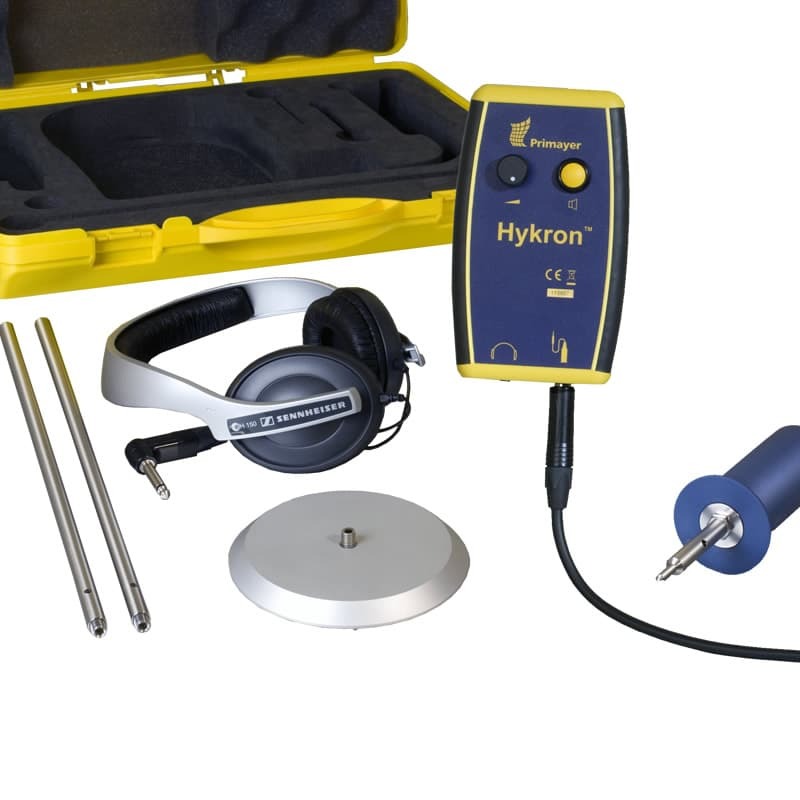 Hykron is a simple to use leak listening system with very high acoustic sensitivity. 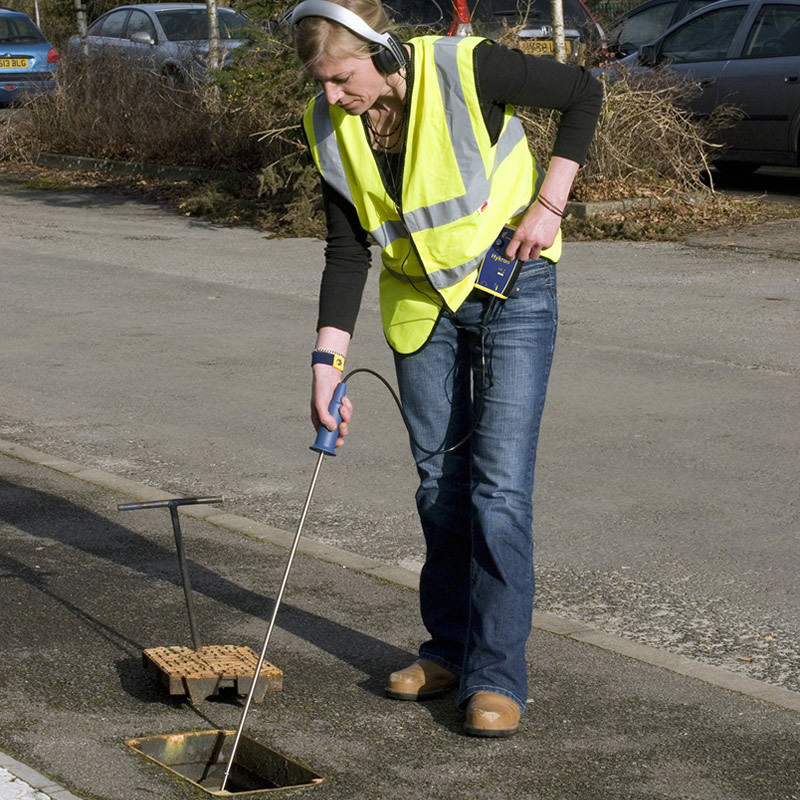 It is ideal for direct leak listening at available water fittings and use as a ground microphone. 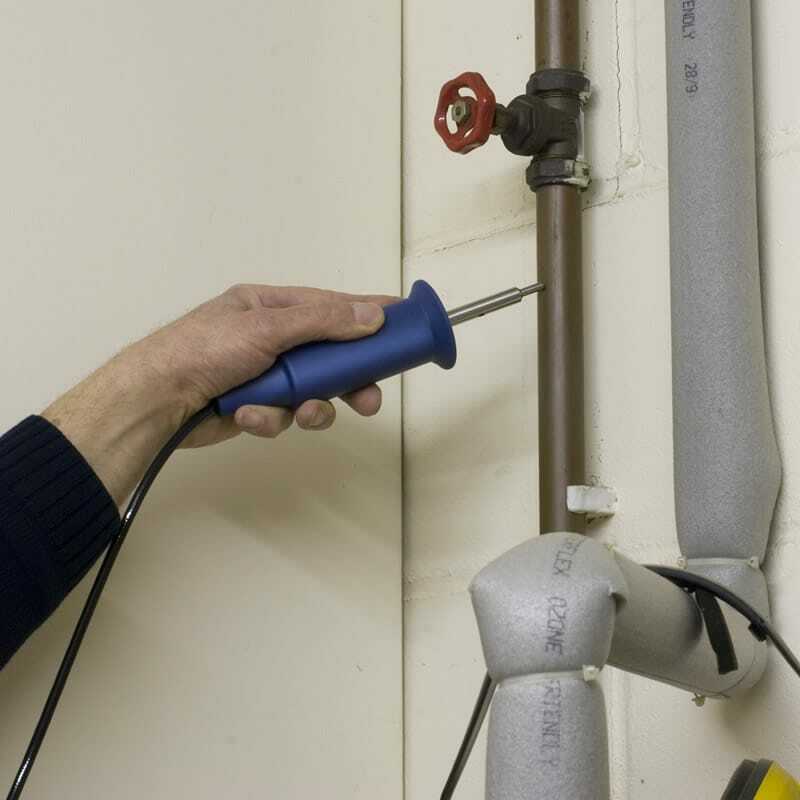 Leak noise travels through the water and can be detected by listening at valves, hydrants or any available fitting on the pipe. Hykron detects the leak noise through its high sensitivity sensor for listening via the headphones. Operation can be with extension rod or tripod for ground listening.